A bridge (also called a fixed partial denture) is a restoration that replaces or spans the space where one or more teeth have been lost. There are two types of bridges fixed and removable. 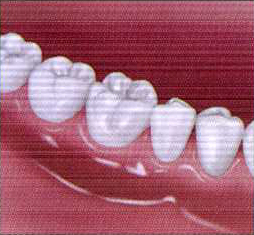 A fixed bridge is bonded or cemented into place only a dentist can remove it. As its name describes, a removable bridge (more commonly known as a removable partial denture) readily can be taken out of the mouth for cleaning. 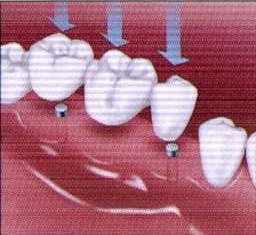 Although removable bridges generally are less expensive, fixed bridges may feel more stable and comfortable. Your appearance, dental health and the proper functioning of your mouth are all important reasons for wearing a bridge. A bridge helps maintain the natural shape of your face and many help support your lips and cheeks. The loss of a back tooth may cause your mouth to sink and your face to look older. More important, Though, Your dental health may suffer when teeth are not replaced. Teeth work together. When a tooth is lost, the nearby teeth may tilt toward the empty space, or the teeth in the opposite jaw may shift up or down toward the space. This can alter your bite and place unusual stress on both the teeth and tissues in your mouth. In addition, due to increased stress, the gum tissues and the bone that holds teeth in place can break down from the resulting gum disease. Teeth that have tipped are difficult to clean, making them more likely to decay. As a result, even more teeth may eventually be lost. Missing teeth also can affect the way you chew and speak. Chewing on one side only may cause stress in your mouth and jaw joints. You also need your teeth to speak properly, since they help you make many of the sounds needed in speech. If you need extensive fixed bridge work, your dentist will provide treatment or refer you to a prosthodontist. 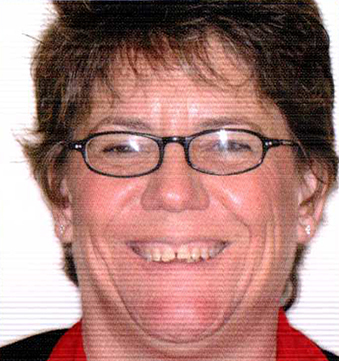 A prosthodontist is a specialist trained in the restoration and replacement of teeth. 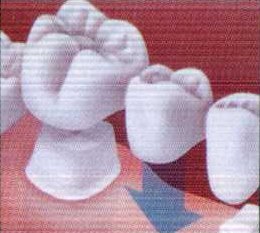 A fixed bridge is commonly cemented to the natural teeth next to the space left by the missing teeth. 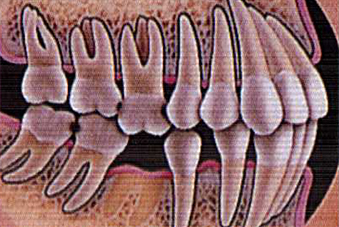 A false tooth (called a pontic) replaces the lost tooth. 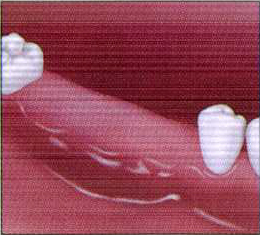 A pontic is attached to a crown (restoration that covers a tooth). 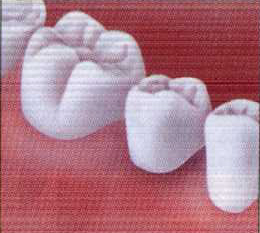 Crowns, which are cemented on natural teeth, serve as abutments that provide support for the bridge. Yes. 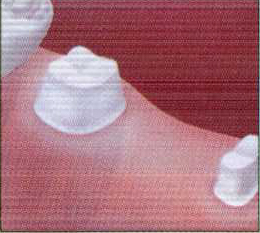 For example, implants attach artificial teeth directly into the jaw or under the gum tissue. Because they require surgery, candidates for implants should have good general health and have adequate to support an implant. In some In some instances, a resign-bonded bridge, frequently called a “Maryland Bridge,” can be used to replace one or more missing teeth. Because the bridge is attached by a special procedure called bonding, it doesn’t require the use of crow or extensive tooth preparation. Your dentist can determine whether this treatment method is appropriate for you. Appearance and function are considered when selecting materials for bridges. Bridges are made from gold alloys, non-precious alloys, porcelain, or a combination of these materials. Porcelain often is bound to either precious or non-precious metal. Your dentist will discuss which material are the best for you. It is very important to keep your remaining teeth healthy. 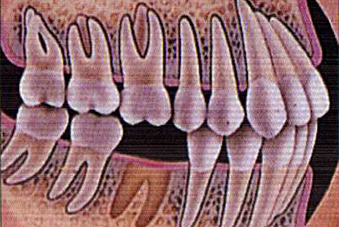 A bridge can lose its support if the surrounding teeth or the jawbone that holds it become damaged by dental disease. Brush twice a day with fluoride toothpaste, and clean between the teeth and under your bridge with floss or other interdental cleaners (specially shaped brushes as well as rubber, plastic or wooden items). While it is not a substitute for flossing, a useful tool to use in addition to floss is water jet. These measures help remove a sticky film of bacteria called plaque. Plaque causes gum disease and dental decay. When choosing a dental product, check to see if it displays the American Dental association (ADA) Seal of Acceptance. This is your assurance that the company has demonstrated through testing of its product that the product has met the ADA’s criteria for safety and effectiveness. Be especially careful to clean the areas under, around and between the bridge and your natural teeth. Dental floss threaders and special brushes can help you reach these areas. It is also important to visit your dentist regularly. If you’re looking to improve your smile, there are many reasons to choose dental veneers. 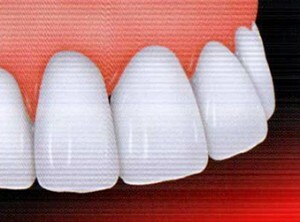 Veneers are made of either ceramic or composite resin material. Your dentist will help you choose the material best for you based on strength, stain resistance, color and appearance. Each type of veneer has its own benefits. 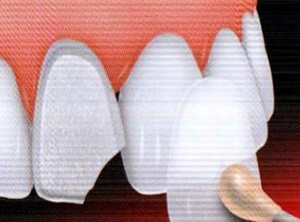 A ceramic veneer is a thin shell custom-made to fit on the tooth. When necessary, the dentist removes a small amount of enamel from the front and sides of the tooth. There has to be room for the veneer so that your tooth looks natural. Next, the dentist makes an impression of the prepared teeth so that the shape of the preparation and surrounding teeth can be copied in the dental lab. The dentist also decides on the veneer shade that will be best for you. At the next visit, the dentist places the veneers on the teeth to check the fit and shape. 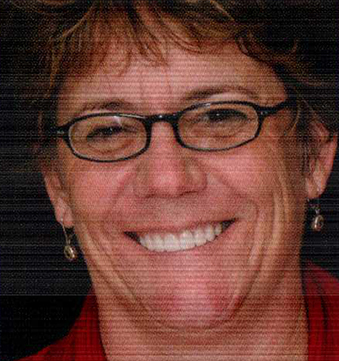 A composite resin veneer is made from a tooth-colored filling material banded on to the tooth. May mean fewer visits to the dentist sometimes these veneers take just one visit! After the tooth is prepared or reshaped, the dentist carefully bonds and sculpts the composite material in a shade that is best for you. A special light is used to harden the composite and bond it to your tooth. The veneer is smoothed and polished to look like a natural tooth. No special maintenance is needed other than good oral hygiene each day. Look for oral hygiene products that display the American Dental Association’s Seal of Acceptance.